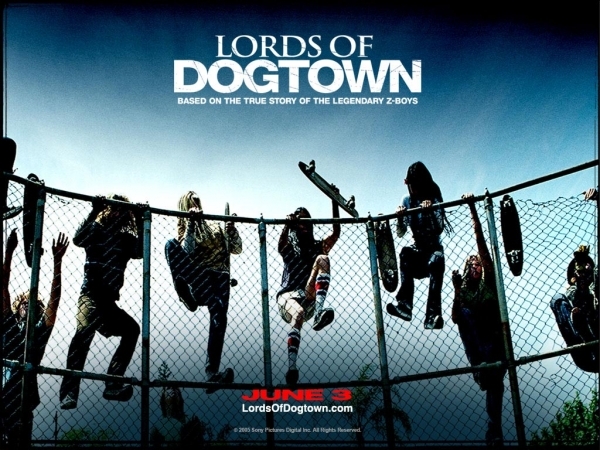 LADY-DIRECTED DECEMBER #3: Lords of Dogtown (2005) – dir. Catherine Hardwicke | Films Like Dreams, Etc. 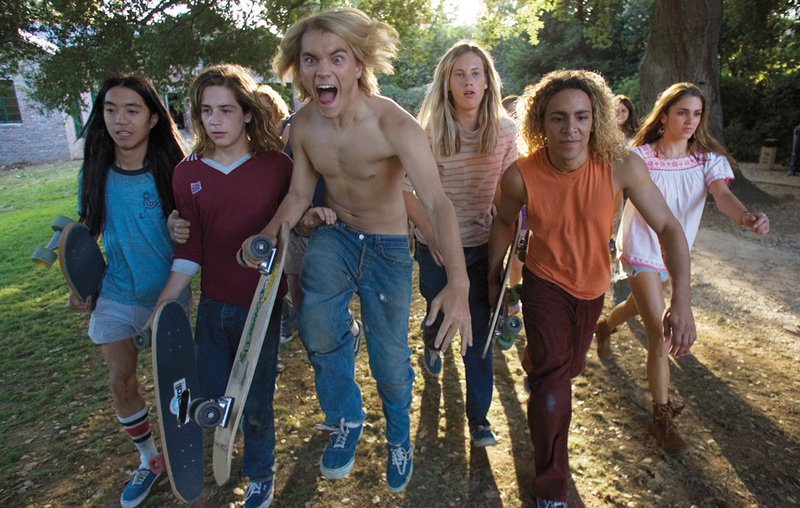 I can say with certainty that I knew more about director Catherine Hardwicke coming into Lords of Dogtown than I did about the Z-Boys themselves. I’ve watched only a few minutes of the famous documentary Dogtown and Z-Boys and am generally uninformed about skating culture as a whole. I have seen other films from Hardwicke, however, specifically Thirteen and Twilight, both of which I believe are stronger efforts than popular opinion suggests. Yet with Lords of Dogtown, it really does feel like it’s tailored toward a specific audience of which I’m probably not much a part. I’ve never been very much attracted to sports – especially not skateboarding or surfing – so maybe my generally lukewarm consensus on this one should be taken with a grain of salt. Still, I’d be lying if I said that Lords of Dogtown didn’t come with its own share of strengths and benefits. I suppose that watching the documentary before this film or at least researching the history of the skating movement in Venice Beach, CA would be a good prerequisite into entering this film. This is especially true for those who, like me, generally don’t find anything about it that would draw me in immediately. Growing up in Southern California, it was nice to see very familiar scenes of the beachside captured as if it still contained all the vibe and glory encapsulated during the 70s. The overlapping dialogue and visibly ordinary “everyperson” type characters contributing to adding an enveloping sense of realism to the narrative, which worked hugely to its benefit. The only thing that turned me off on this front was the representation of women, which I felt were oversexed and uber-tantalizing, compared to the male characters of varying sizes and appearances. Also adding to its sense of realism is the minimalistic performances by its cast and the natural chemistry they possessed in their scenes together. This is especially true for Heath Ledger, whose wild, drunken beligerance aids him in stealing practically every singe scene he’s in. Despite these strides in the acting, it does remains unfortunately flawed and imperfect. Much of the group dynamic came into fruition during the energetic skating scenes, but are quickly thwarted to the side by much of the needless drama that peppered the narrative. Sure, this was based on a true story and the filmmakers are noticeably trying to capture the stories of these people in as “audience-friendly” of a way as possible. Yet these bits only worked to weigh the film down, making much of the ever-important relationship facets simply dull and tiresome. I don’t know what it is with me and my discontent for films that aim to capture a genuine sense of the 60 and 70s. Other film-loving friends are always shocked to realize my indifference toward Easy Rider, another film that often garners even more praise for its emitting of its counterculture. While I can see how the carefree nature of this film – as well as Lords of Dogtown – is praised and enjoyed by many, I think it needs to offer a little something more in order for its viewing experience to be deemed totally worthwhile. After all, good acting could only go so far. I’m not quite sure if Lords of Dogtown is the kind of movie that would stick with me in the long run, but it has convinced me that Stacy Peralta’s documentary about the same subjects would be more up my alley. This entry was posted in Lady-Directed December, Reviews and tagged 2000's, Catherine Hardwicke, Lady-Directed December, Lords of Dogtown. Bookmark the permalink.